I can’t tell you the number of recipes I’ve made from Simon Hopkinson’s recent television series the Good Cook. Somehow I’m much more tempted to try recipes after watching someone cook it than I would be from just reading the same recipe in a cook book. Hence the popularity of cooking shows I guess. That enhanced understanding you have of the finished dish and the chefs passion towards it can’t be replicated too easily in written form. Take these parmesan biscuits as an example. There are so many recipes for cheese biscuits and most of them are pretty similar but watching them being cooked by Simon Hopkinson I couldn’t wait to try them and I just knew they were going to be one of the better parmesan biscuits out there, and I was right. 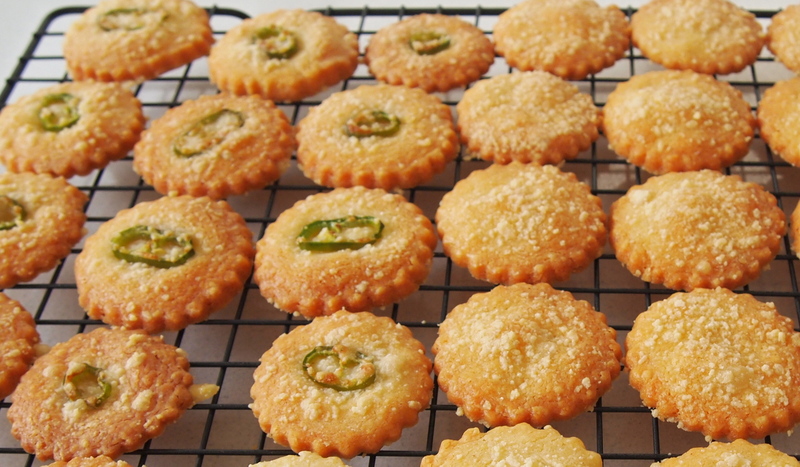 These are a lovely appetiser to serve with a glass of wine or Champagne – the ones topped with green chilli were my favourite, with a wonderful spicy kick. I must admit that I forgot to brush the biscuits with egg wash prior to baking but they didn’t seem to suffer for it although they may have had more of a golden glossy finish if I had. These are as fun and satisfying to make as they are to eat and will keep in an airtight container for at least a few days but they never seem to last that long. 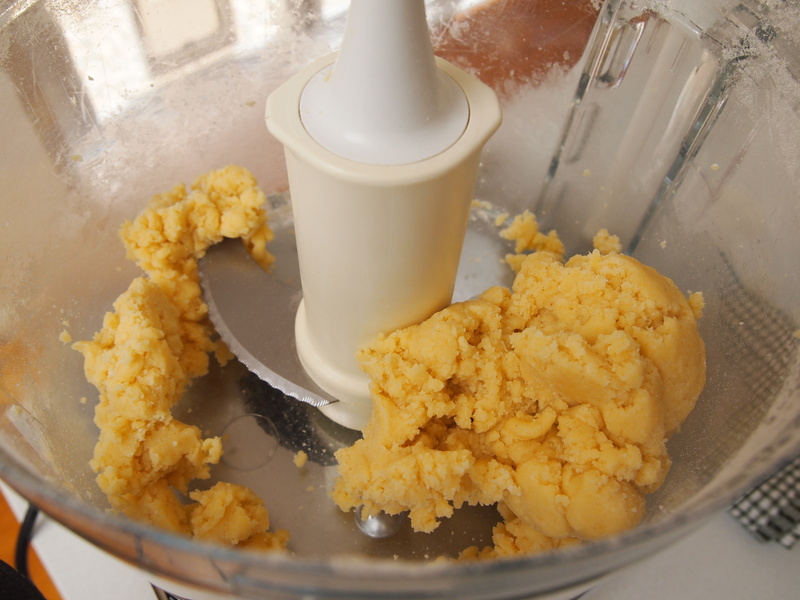 Place the butter and flour into the bowl of a food processor with the salt, cayenne, mustard powder and cheeses. Process together to begin with, and then finely pulse the mixture in short spurts until the mixture comes together – it will eventually bind without the need for egg or water. Wrap in cling film and leave to chill in the fridge for at least 30 minutes. Pre-heat oven to 180C. Lightly flour a work surface and gently roll out the pastry to about ½ centimetre thickness. Cut out the biscuits to the size and shape you wish – I used a scallop edged 5cm round biscuit cutter. Lay them out on a greased baking tray about 2cm apart – it may take two lots of baking to use up the entire mixture. 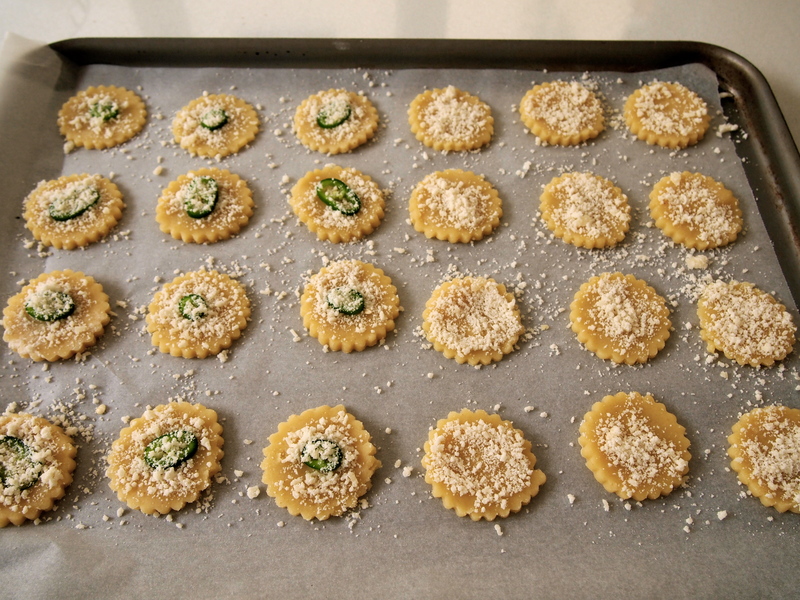 Carefully brush the surface of each biscuit with the egg and sprinkle over a little finely grated parmesan. 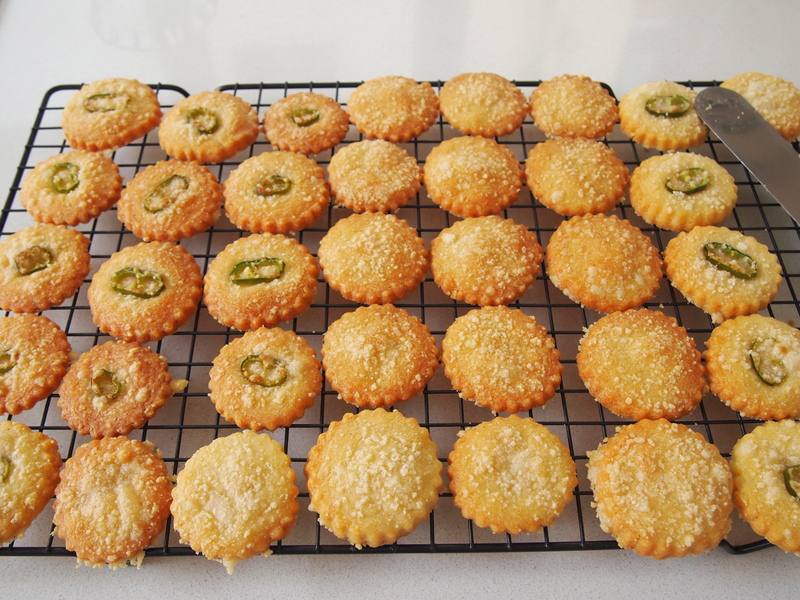 If you’re using the green chilli place a slice of chilli on each biscuit (or just some of them) prior to sprinkling with parmesan. Bake for 10 minutes, or until they are a golden-brown colour. Carefully lift the biscuits off the tray using a palette knife and place on a rack to cool. 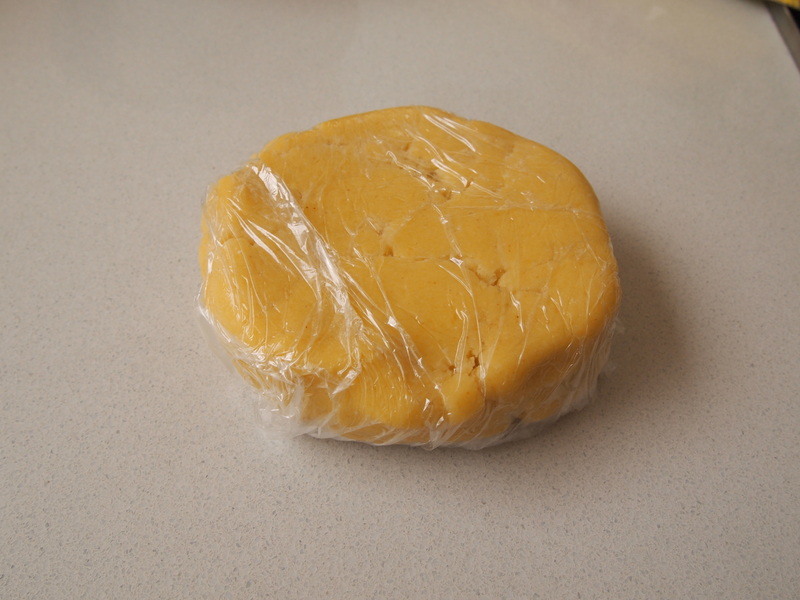 Do you have to use a food processor to make the cheeses biscuits …can one just use a bowl if you don’t have one or is it not worth doing without FP? Hi Ann, I haven’t tried making these without a FP but I don’t see how they wouldn’t work. It would be the same as making short crust pastry by hand. I would have the butter cold but not overly so. Put all the ingredients into a bowl and then using the tips of your fingers lift and press together the ingredients and keep working at it until it comes together. If you have a pastry cutter that makes things slightly easier but I’ve often made pastry this way when I haven’t felt like lugging out the food processor and it works just fine.